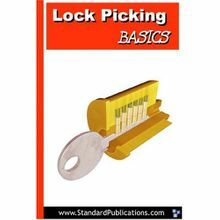 Great starter book for beginners to learn about locks, tools and picking. Clearly illustrated with a glossary of terms. Covers warded, pin and wafer locks, the most common kinds. You can be picking the most popular locks in no time with this book and the proper picks. Also includes section on auto jiggler or tryout keys.